As a journalist, a sympathizer and not a member* of Iranian Secular Democratic Party, I hope the following summary can be useful for the readers. In recent months, the platform of Iranian Secular Democratic Party (Futurist) which was formed in September of 2016 by Dr. Esmail Nooriala (1) and a number of Iranian secular democrats, has been discussed extensively (2). In fact, Iranian Secular Democratic Party has its roots in three secular traditions of Iran: the left, nationalists and Pahlavi monarchy, but it does not define itself by the quarrels of these three traditions (3), it is futurist and defines itself with the present Iranian secularism (4). Today, although the majority of those who believe Pahlavi dynasty has played a positive role in Iranian history, support a republic for the future of Iran (5), but they consider the constitutional monarchists led by Prince Reza Pahlavi as their ally to build Iran's Future Republic (6). Also they consider the Iranian leftists and nationalists as their allies in building the Future Iran, and endeavor to achieve various political and civil rights objectives, by forming specific coalitions with these friends (7). Also Iranian Secular Democratic Party hopes the Iranian futurists who have stayed away from politics in the last half century, can try, in any form possible for them, to cooperate with the Party (8). 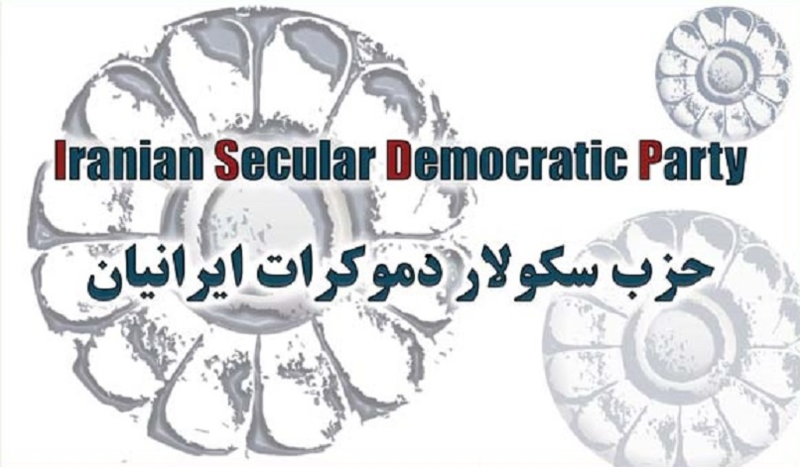 And no need to remind all that it is the wish of Iranian Secular Democratic Party to cooperate in the closest possible way with all Iranian secular democrats, whether those who are active as individuals, or those who are organized in various groups. I suggest, those interested, to contact the Party's secretary, Mr. Hassan Etemadi (9) or the deputy secretary of the Party, Mr. Manouchehr Yazdian (10), and see how they can work with the Iranian Secular Democratic Party. If you can help the party financially, please do not hesitate to do so, as that is the best way to guarantee the continuation of Party's work and its independence (11). 6. Jon Gambrell's Report: [Reza Pahlavi] calls for replacing clerical rule with a parliamentary monarchy..